Mario Arillo was born in La Spezia on the 25 March 1912. At an early age, he quickly showed a great passion for the sea and the desire of following a career in the Royal Navy. In 1927 he was admitted to the Livorno Naval academy and graduated as an ensign five years later. Arillo was assigned to the destroyer Trieste, and then the torpedo boat Stocco. Between September 1933 and October 1934, Arillo was assigned to the destroyer Giovanni da Verrazzano. Mario Arillo started his secondary education at the Livorno Academy between 1934 and 1935. From there, he became a communication officer on the torpedo boat Dardo, and then the executive officer on the submarine H2 homeported in La Spezia. Between 1936 and 1938, Arillo served on the destroyers Trento, Trieste, and Duca degli Abruzzi, as the assistant to the Admiral Commander of the 3° Naval Division. He returned to the Livorno academy in September 1940 to attend submarine command training at Pola. He spent the period at the command school on the submarine “Ettore Fieramosca”. 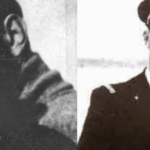 On the 19th of January 1941, LCDR Mario Arillo was assigned command of the submarine Ambra. Its mission included intercepting British transports in central and eastern Mediterranean, as well as transporting assault military equipment and machines. Mario Arillo on board the Ambra in 1941. On 31 May 1941, Arillo obtained his first opportunity. The Ambra intercepted a British naval column south of Crete composed of the destroyer HMS Bonaventure and destroyers HMS Hereward and Stuart. The naval column had departed Alexandria, Egypt transporting Commonwealth troops to defend the Island of Crete. At 2:44 of that day, Mario Arillo fired three torpedoes. One slightly missed the Hereward. The other two hit the HMS Bonaventura – sinking her a few hours later. The HMS Hereward managed to save 310 men, but 138 (others say 170) lost their lives. For this submarine success, Mario Arillo earned a Medaglia d’argento al valor militare. After a failed attack at the port of Valetta, Malta in July 1941, Arillo met Decima Mas commander Junio Borghese. Arillo agreed to assist Borghese and the Decima Mas in future engagements. The Ambra subsequently became refitted to carry Human Torpedoes (Siluri a Lentac Corsa) as a means for Italian naval frogmen to attach limpet minds on moored enemy ships. On 29 April 1942 Operation G.A.4 departed from La Spezia for the port of Alexandria. Although the Decima Mas and the Siluro a Lenta Corsa (SLC) failed to damage the port or ships in this attack, Arillo was honored with a second Medaglia d’argento al valor militare for his brilliant operational approach and rescuing the frogmen near the coast while under enemy fire. 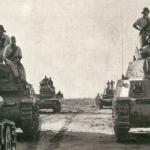 Operation N.A. 1 involved attacking the port of Algiers with 3 SLC and 10 frogmen. On the night of 11-12 December 1942, the Ambra released Decima Mas raiders in the port. Frogmen Guido Arena and Ferdinando Cocchi attached limpet minds on the moored Norwegian steam ship Berto (1,493 tons) which successfully detonated and sank the ship within five minutes of exploding. The British steamships Empire Centaur (7,000 tons), Harmattan (4,600 tons), and Ocean Vanquisher (7,200 tons), were also seriously damaged in this attack. After returning to port, King Vittorio Emanuele III decorated Mario Arillo with a golden medal for military valor for this engagement. Following the armistice, Arillo decided to become a member of RSI, acting as mission leader of the Decima Mas. He took part in combat actions in Anzio on 23 January 1944. Between August 1944 and April 1945, he fought in Southern France from bases in Liguria. On 17 April 1945, he and fellow Decima Mas member Sergio Denti, participated and organized the explosive motorboat attack which sank the French torpedo boat Trombe. 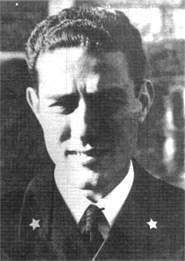 Mario Arillo transferred to a naval reserve in August 1945 as Capitano di Fregata. Besides receiving two Medaglia d’argento al valor militare and one Medaglia d’oro al valor militare, Arillo earned one Medaglia di bronzo al valor militare and the German Iron Cross Second Class. Mario Arillo died in Venice on 26 September 2000. Mario Arillo (L) in this undated photo. Arillo passed away in 2000.